The Shimano Metanium DC sets a whole new standard by which all other reels are measured. Fully loaded with flagship technologies the Metanium DC offers anglers the lightweight and versatile performance known of the Metanium, now with Shimano's DC braking technology. With the ability to fine tune the DC braking system to best match line type and conditions, paramount casting distances can be achieved. I-DC5 braking allows anglers to identify their line type and further ensures the longest, most accurate cast possible. 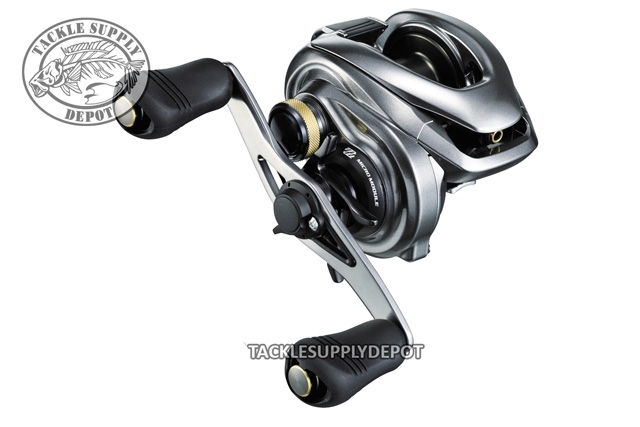 These reels are encased in a super light yet incredibly rugged KN Body for ultimate comfort and reliability. The Shimano Metanium DC reel is loaded with all the best features and technology to maintain smooth handling, reliable control and excellent casting performance.